The Cuban crocodile is sometimes referred to as the 'pearly' crocodile on account of its very characteristic yellow speckled patterning, present even in adult crocodiles. 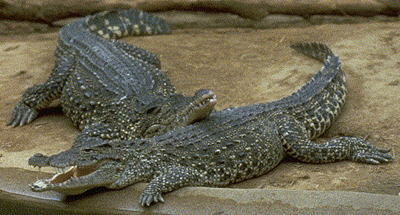 Only a few crocodiles have particularly bright yellow markings, however. Photograph courtesy of The National Zoo, Washington D.C.